Yesterday we started with our OSINT Challenge! Collect, process and interpret information and conclude from it. The digital treasure hunt for everyone to join in. There are also prizes! Open Source Intelligence or OSINT for short, has been on everyone’s lips since the politician data leak in Germany at the beginning of January. To bring this topic closer to users, we now organize a monthly OSINT Challenge in the form of a little puzzle on the topic. Yesterday we launched the first OSINT Challenge on our Instagram TV channel. During our live hacking we have been talking about it for a long time and we are always happy to use it in a pentest. Openly available information on the internet, either due to the technical infrastructure or user-related. An example is photos that are posted on social media, where the location of a person can be determined by a structure in the background. Or critical information is recognizable in the background. For example passwords. An example of this is the French television station TV5Monde, which lost at least one social media password during a TV interview because it was recognizable in the background. As a result 11 out of 15 transmission signals were probably interrupted. Our OSINT Challenge helps to understand and avoid the risks. 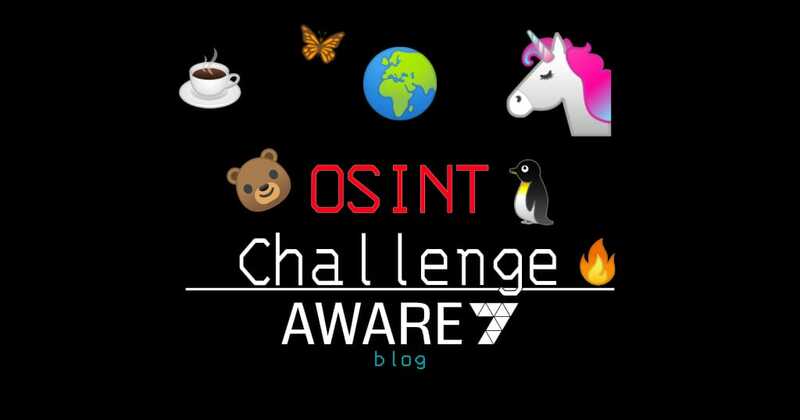 As part of our now monthly OSINT Challenge, we want to raise awareness of the topic and raise awareness among internet users. On 01/24/2019 the first OSINT Challenge took place and it took about three hours to solve it. We looked for the market well on the Rüttenscheider Platz in Essen, Germany (the coordinates are 51.4377975, 7.0077656). The winner of the challenge is Markus Hertlein from XignSys GmbH. Congratulations also from us. In the future OSINT challenges, participants will have 24 or 48 hours to come up with a solution. The time is dependent on the complexity of the puzzle in the OSINT Challenge. We will draw the winner from all the correct submissions after time has expired. The winner of the OSINT Challenge will receive an exclusive t-shirt as a prize. The t-shirt is something very special: Our community has selected the Emoji’s in Instagram stories, which surround the words “l33t 0S1N7” [read: Elite OSINT]. The selected emojis are shown in the cover picture.